It was a strange night at Old Trafford. The footballing mentality was all over the place, so was the ball, heads, and limbs of players too, as both teams looked uncoordinated in their movements about the pitch. Visitors Arsenal managed to gain a lead on the scoreline on two different occasions as the hosts committed a series of blunders but failed to hold on to it, thanks to some shoddy work at the defense. In the end, both Manchester United and Arsenal shared points at Old Trafford. Thanks to the stalemate, both the teams dropped a place on the league table; Arsenal falling to fifth from fourth place, Chelsea edging them out by virtue of goal difference while United find themselves at 8th spot, as opposed to their earlier 7th. Arsenal came in fresh from the memorable North London Derby win against Spurs, while United just scraped through their previous contest with Southampton, which was also played out to a 2-2 draw. 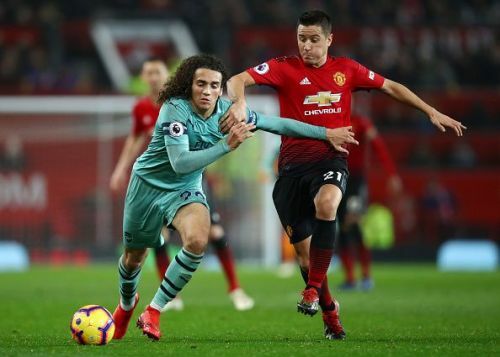 In the game both United and Arsenal looked strong in finishing and creating goal opportunities from long-balls, but the aggressive nature of the gameplay and a high number of individual errors from both sides became dampeners to what could have been an exciting encounter. Disastrous goals, horrible defending and refereeing errors added to the misery, and though such "novelties" as useful in a writer's point-of-view (more to write, no loss for words), it is not the kind of football that fans expect to see from two high-profile clubs facing each other. As of now, let's take a peek into the best and worst players from the game. Spoiler Alert: features a majority of Manchester United players because they were arguably the superlative players on the pitch when individual performances are taken into consideration. Ander Herrera is our man-of-the-match from the game. No, he did not score, but thematch was not just about the scorers. Herrera was the best player on the pitch, hands down. He played for the entire 90 minutes, and also assisted Anthony Martial's equalizer in the first half. The Spanish midfielder had a pass success rate of 91.7%, which is excellent considering that he completed a total of 48 passes - out of which 3 were key passes, including the assist, and 3 were long balls. He was also effective on the defensive end, making the most successful tackles (5) and interceptions (6) by an individual player in the match. 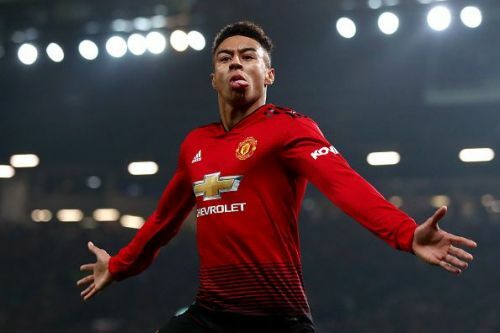 He also made three successive dribbles, one of which eventually paved way for Jesse Lingard's goal in the second half that helped United share spoils with Arsenal.